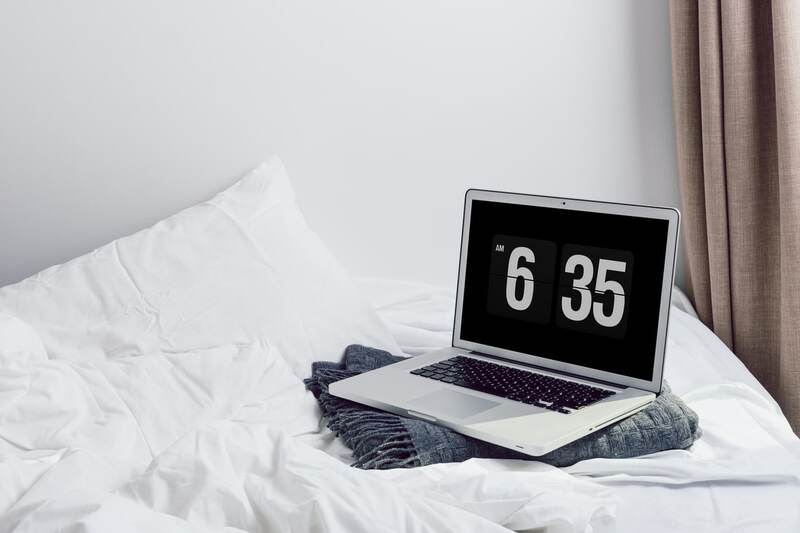 Though not everything listed below is “technically” working at home – there are many companies that allow you to do short tasks or errands outside the home and get paid for it. Many love getting out of the house – and this allows you to do so and make extra cash too. I have a friend that absolutely loves running errands for a few elderly women in her community. Each week she takes them to appointments, grocery shopping and other errands. They pay her for her gas and time. She uses the wait time to complete surveys and do other tasks on her tablet! 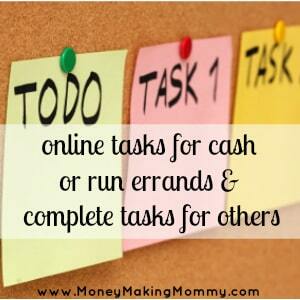 These little online tasks for money add up for her and it's win-win. – Flexible schedule. Simple document look up at your local courthouse. – This is an app for iPhone or Android. Basically you are doing small tasks at stores like scanning bar codes on items or playing games. You earn points for these tasks and can redeem them for cool stuff. – Seems to be in mostly major cities, but they are rapidly expanding. Tasks range from short errands like deliveries, to long term jobs for businesses and offices. – This is only on iPhone right now. But you can do simple shopping tasks/checks at stores you're already going to. Pay is anywhere from $3 to $8 in most cases. An example task would be checking out a store display at Wal-Mart. – Ok, so technically not a task – but, an easy way to make money off parking spaces that aren't being used. – Residential and business inspectors, merchandise inspectors, even cellphone tower inspectors. These can be drive by inspections or physical inspections. – Offer your skills, talents through your own little online office/store. Many are making full time incomes doing this. – Micro jobs and tasks, very similar to Fiverr. – Micro-tasking and other assignments. – Micro-tasking and other crowd-based tasks. If you're currently making money doing work similar to the above jobs posted, please share your experience with all of us in the comment section below. Is there a company or program that I haven't mentioned above that would be a great resource on this page – let me know. I'd like to make this is wonderful resource page for everyone looking for this type of work. Thank you in advance for contributing.